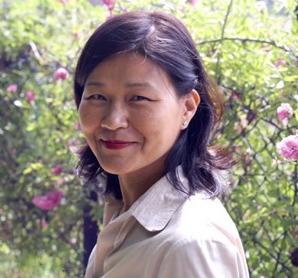 Soko PHAY is University Professor (Professeur des universités) in History and Art Theory at Université Paris 8 Vincennes – Saint-Denis. She is also lecturer at Nouveau Collège d’Etudes Politiques at Université Paris Lumières. She has devoted several papers to (i) the aesthetic of the mirror in art, which earned me the art critic scholarship from the CNAP/French Ministry of Culture (Les vertiges du miroir dans l’art contemporain, Les Presses du réel, 2016), and (ii) art in the face of the extreme (ed. of Cambodia, the memory-workshop, Sonleuk Thmey, 2010, co-ed. of Cambodge, le génocide effacé (Cecile Defaut, 2013) and co-ed Figurations of postmemory (Journal of Literature and trauma studies, n°4-5, 2015), Archives au présent (Presses universitaires de Vincennes, 2017), Cambodge, cartographie de la mémoire (L’Asiathèque, 2017). As a curator, She has also contributed to specialised journals as an art critic. She head the “Art History, Practice and Aesthetics” (EPHA) section of the EA 4010 Lab, and is responsible for several research programmes, including “Art and postmemory in Cambodia and Rwanda” and “Archives in the present time”, within Labex Arts-H2H, in collaboration with several international institutions. Together with Pierre Bayard, she founded the International Centre of Research and Education on Mass Murders (CIREMM).